The Central Valleys around Santiago are ideal for the cultivation of wine. With the local geography providing a wide range of altitudes, sunlight exposure, rainfall and soil types, it is possible to produce a variety of high quality flavours in a relatively small region. You can either spend a few days touring the vineyards, choose from one of the following full or half day visits from Santiago for a taster, or tell us your requirements and let us put together the perfect package for you. 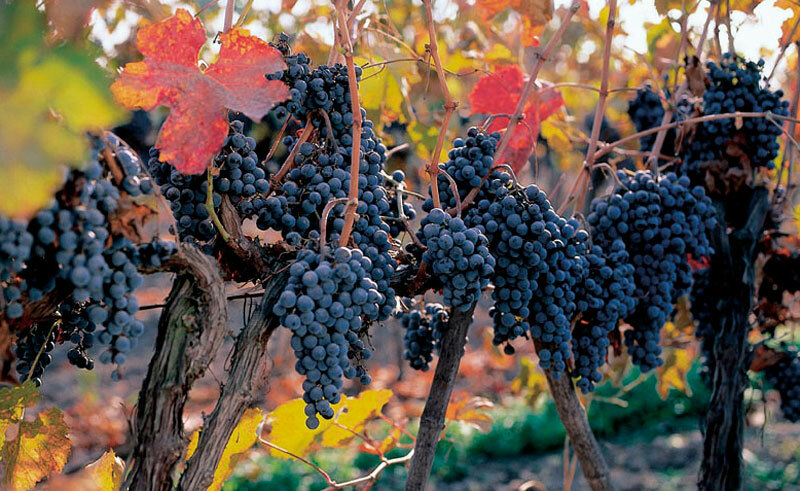 Head to the Maipo Valley, home of the Concha y Toro winery, the country’s most prolific exporter of wine. Here the workers share the secrets of the winemaking process and exporting activities. The tour includes a walk through the beautifully landscaped colonial grounds of the company founded in 1883. Today it’s considered one of the 10 most important wine producers in the world. Visit the cellars, the vineyards (some of them started by its founder, don Melchor Concha y Toro) and end with a wine tasting experience at the wine bar before heading back to Santiago. Morning departure to Vina Cousino Macul, the oldest wine estate in Chile. Founded in 1856, it’s considered one of the most traditional wineries in the country as its current owners are direct descendants of the founder, Don Matias Cousino. The winery is well known for its beautiful surroundings and efficient wine making production process. In the afternoon, a stop at Vina Concha y Toro is planned, to visit the estate of Chile’s largest wine exporter and one of the 10 most important in the world. Concha y Toro’s fine wines are produced in 1,000 small French and American oak barrels. The winery also produces 8 million litres in stainless steel vats. Note: In between the visits to the wineries, there is sufficient time for lunch (not included). Depart from Santiago heading for Rosario Valley, a subdivision of the San Antonio Valley located 120 kilometers (74 mi.) from the Chilean capital. Here lies Matetic Vineyard, amid a 9 thousand hectare property. The winery follows biodynamic principles, producing 100% organic grapes and taking special care of the surrounding environment. The tour includes a visit to the wine cellar, where visitors will be cordially welcomed by a bilingual guide who will explain the winemaking process, while beautiful views of the vineyards can be admired. It’s a perfect place to learn about the wine production process and organic farming. The tour ends at the underground tasting room, where two premium wines will be tasted, a Sauvignon Blanc and a Syrah of the Corralillo line. Depart on a two-hour trip south of Santiago to the co-called Valle de Colchagua, which is home to 12 “boutique” wineries. During the tour, you’ll enjoy lovely views of the countryside and visit two or three wineries which will vary depending on the day of the week. Potential visits will include: Casa Silva, Estampa, Jacques & Francois Lurton, Laura Hartwig, Montes, Mont Gras, Viu Manent and Vina Bisquertt. After the first two wineries, (which include a wine tasting experience), head for lunch at Hotel Santa Cruz Plaza or a local restaurant (depending on the day of the week). Afterwards you will either visit another winery or tour the Colchagua Museum. The latter exhibits one of the largest and most important collections of pre-Hispanic art in Chile, as well as a very comprehensive display from Chile’s colonial period. Notes: Includes lunch and a visit to two wineries and the Colchagua Museum, or three wineries. The museum is closed on Mondays and public holidays. Different wineries are open on different days. A perfect combination of Chile's most iconic regions.